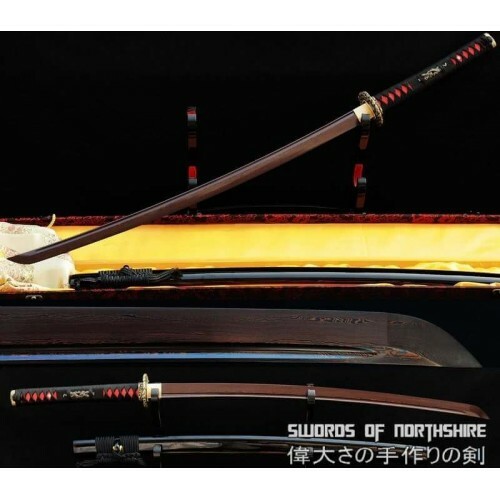 This is a well-made colorful folded steel sword, following the traditional Japanese process. 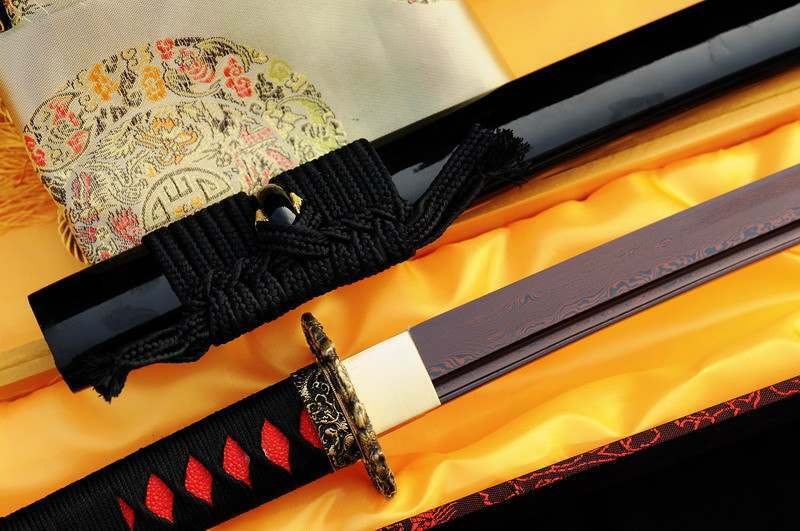 The blade is very sharp and folded 13 times resulting in over 8,000 layers. 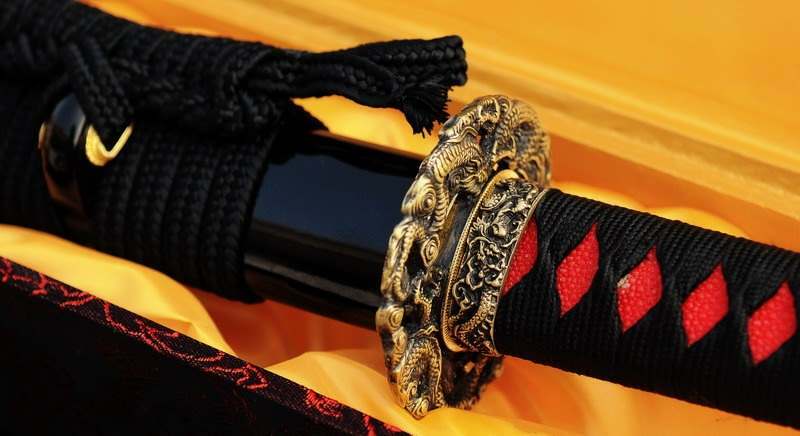 After sharpening, the blade is etched with an oxidation process to give the surface it's black and red color. There are three different colors: black, red, and black & red. 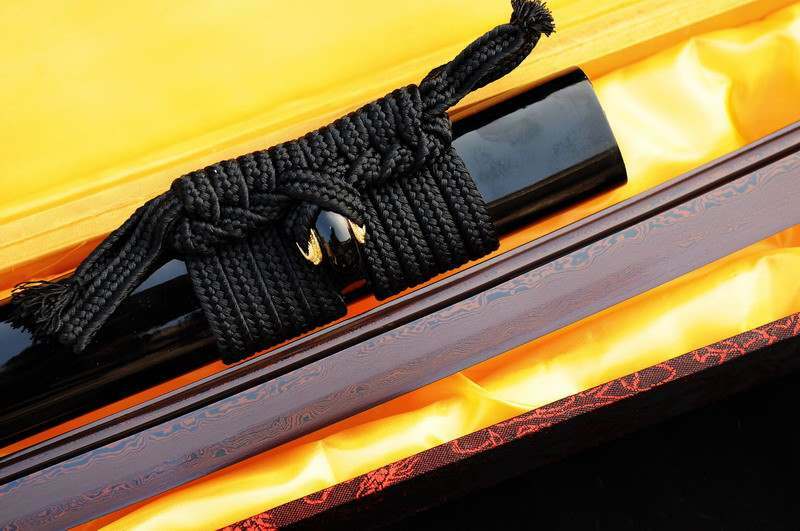 It comes with a black lacquered hard wood saya and silk sageo/ito, copper fittings, and genuine same (rayskin). 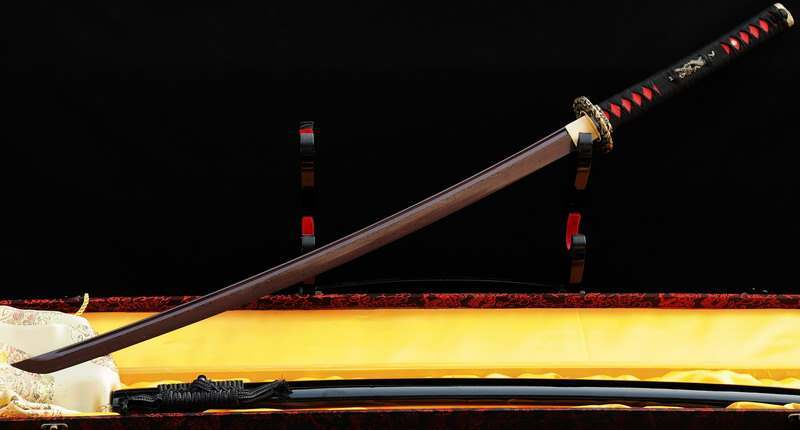 The tang is secured into the handle with two bamboo mekugi. 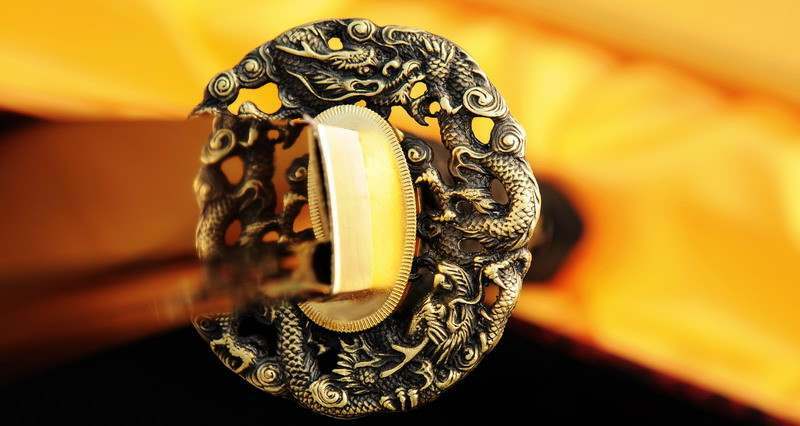 It is a very good choice for Dojo students, gifts, cutting practice, and display. 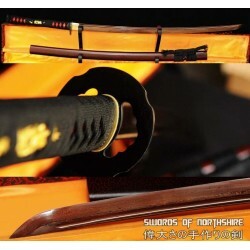 It is durable enough for cutting tameshigiri and bamboo. 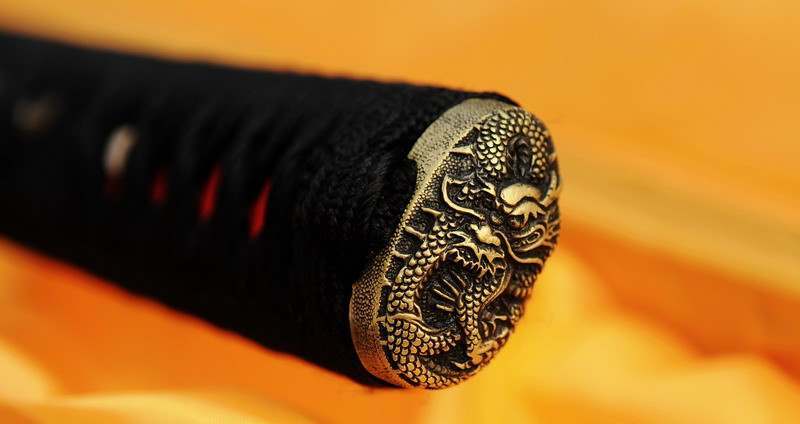 Each sword is individually handmade so specifications vary slightly from sword to sword. 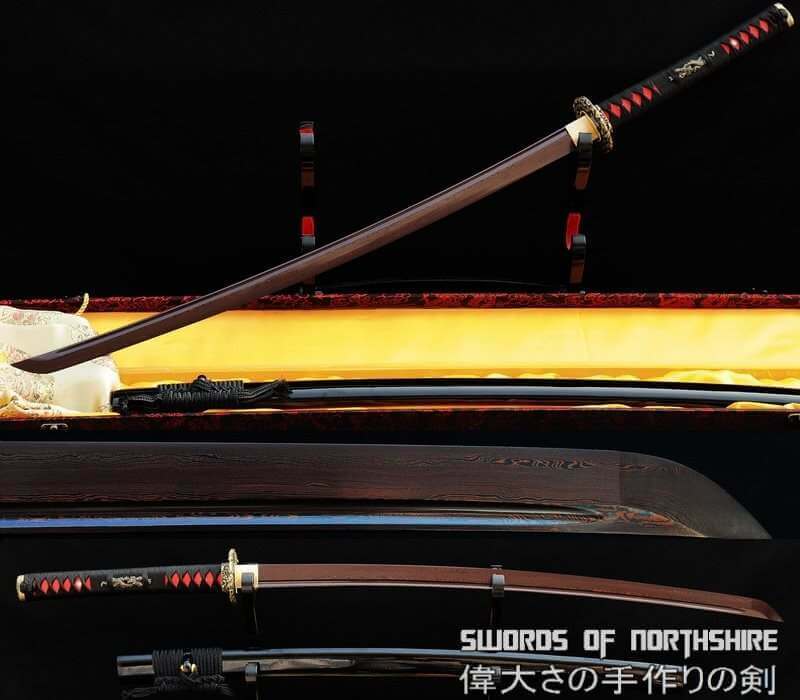 This blade is beautiful Swords of Northshire delivers again. 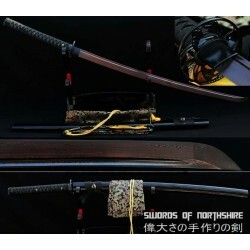 I was researching the best place to buy a battle ready Katana, and I found SON. I am not an expert but I am very happy with this sword. It looks and feels great, the build quality is excellent. 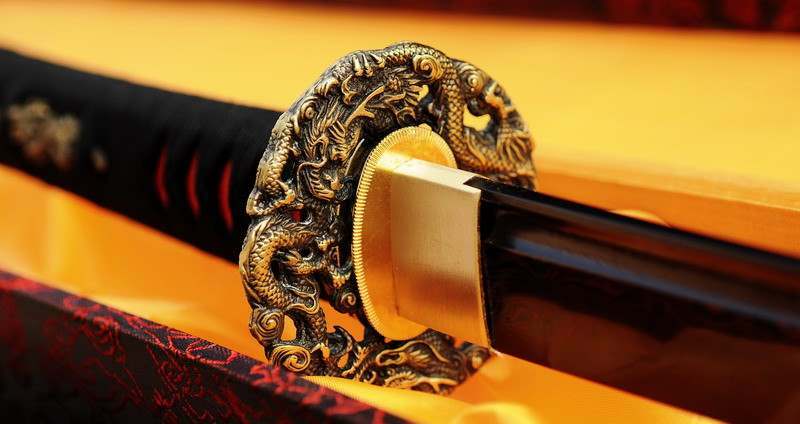 My sword has a few minor flaws that cannot be seen by a simple glance. Service itself was fast and trouble free. The sword arrived in well packaged. 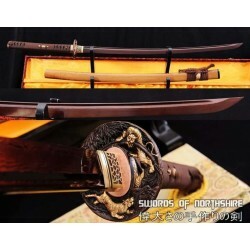 I would recommend a anyone looking for a sword to give SON a try. 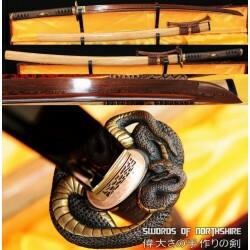 This is such an awesome sword. I love the way the red reflects in light, just like Lightbringer. 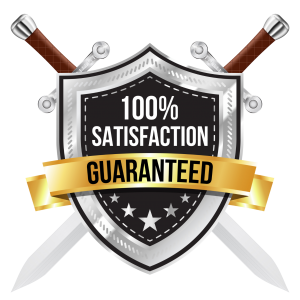 High quality, quick and easy service, would definitely recommend. What a beautiful piece. Very nicely done. Sales rep was excellent, too. This sword is exactly what I wanted. 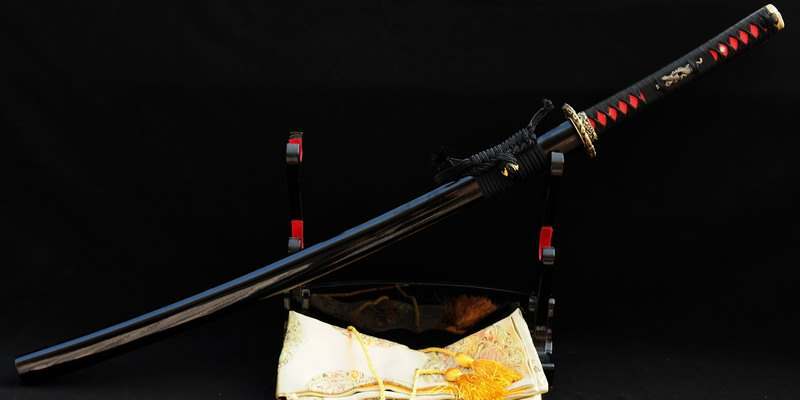 Awesome sword and awesome service. I recommend it. Great job Swords of Northshire!